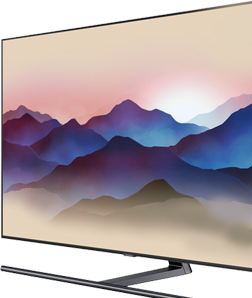 As an authorised partner, we offer a wide range of original Samsung television parts, such as remote controls, stands, connectors and screws. If we have a part in stock, we will dispatch it the same day. You can order television parts by entering the model code in the field above. How do I find the right part? You always need a model code to order parts on Samsungparts.eu. This code is essential in order to find the correct part for your particular equipment. 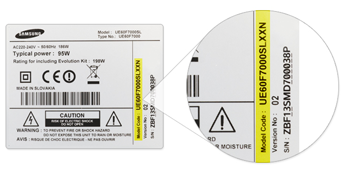 On Samsung televisions, the model code can often be found on a sticker on the back and consists of letters and numbers. Enter the model code in the grey bar above and then choose the part you need on the product page. Our Support desk is always there to offer you help or advice. Remote control: is your remote control not working or lost? 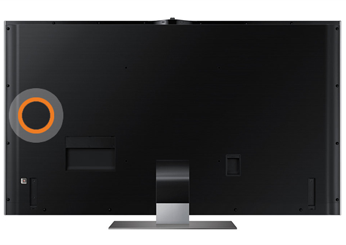 You can quickly order a new one that matches your TV model via our webshop. Television stand: if you don't want to mount your television to the wall, you need a stand on which to place it. Enter the model code and find out which stand belongs with your equipment. One Connect cable: Samsung One Connect products are designed to do away with untidy cables. A One Connect cable enables you to connect your other devices to your Samsung TV easily and in a structured way. Would you like advice when ordering parts? If you need advice on ordering the correct parts, we would be happy to help you. Try to find the model code or model number of your Samsung television in advance. After you have found the model code or model number, you can call our customer service number. A member of our staff will help you to find the correct part. © 2019 2Service B.V., All rights reserved.